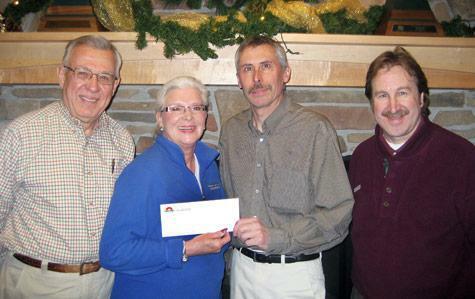 Jack and Betty Thomas of Paws and Claws Animal Shelter (from left) receive a check from Terry Hanson and Paul Maki of Nor-Son Construction. Smiles, applause, even happy tears were evident at the Aug. 11 groundbreaking for Paws and Claws Rescue and Resort south of Hackensack. 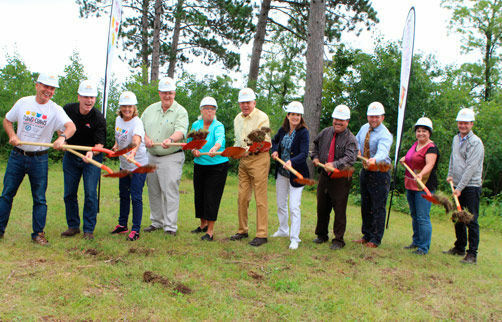 As cameras clicked and onlookers clapped, the Paws and Claws Board of Directors, representatives of Nor-Son Construction and others each flipped a shovelful of dirt in the air to mark the start of construction on the new pet shelter/pet boarding facility serving the Hackensack area, Cass County and beyond. “It’s a good day, but we have a long way to go yet,” declared an emotional Betty Thomas, chair of Paws and Claws’ Board, speaking to 40-50 people who gathered later at The Hub in Hackensack. Betty’s husband Jack Thomas explained how the idea for Paws and Claws came about. More than 30 years ago, the Thomases started Mann Lake Ltd., a business serving beekeepers with products ranging from frames and hives to bee medications. 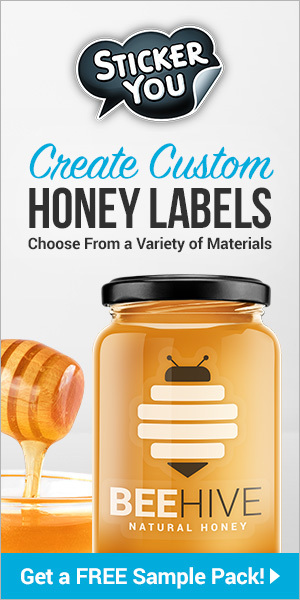 Since then, Mann Lake has grown to be one of the largest suppliers of beekeeping products in the world. Five or six years ago, Jack and Betty were discussing what to do with their estate. The couple has no children, and Mann Lake Ltd. is now employee-owned. Betty, who grew up on a farm, suggested doing something for animals, especially domestic pets. Paws and Claws Executive Director Jim Clark noted that 420 people have donated to Paws and Claws from as far away as Florida and Hawaii. Construction will be led by Nor-Son of Baxter, design-build architects, utilizing local subcontractors and suppliers where and when possible. “They were our preferred contractor,” Clark added. Nor-Son Architect Sam Bontrager presented an overview of the project. If all goes as planned, Paws and Claws will open in the spring of 2017. Groundwork will begin in mid-September on the 22-acre parcel about 1 mile south of Hackensack at the corner of Highway 371 and Cemetery Road, with the main entrance off Hwy. 371. Only about 5 acres of the 22 acres will be disturbed, Bontrager added. The 13,000 square foot building will utilize the latest energy-saving technologies including a wood-fired gasification furnace and solar array. Throughout the construction process, photos and updates will be posted on the website. For more information on Paws and Claws or to make a tax-deductible gift, visit the website www.pawsandclawsrr.org, email to info@pawsandclawsrr.org or call (218) 675-7297 (PAWS).